Processed with MaxIm DL 5 and Photoshop6. 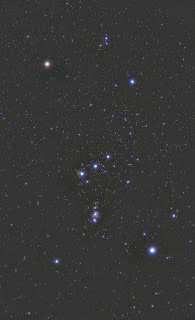 Orion, a famous winter constellation in the northern hemisphere has been one of the most pronounced and recognizable constellations. Its brightest stars are Rigel and Betelgeuse a blue-white and a red super-giant. 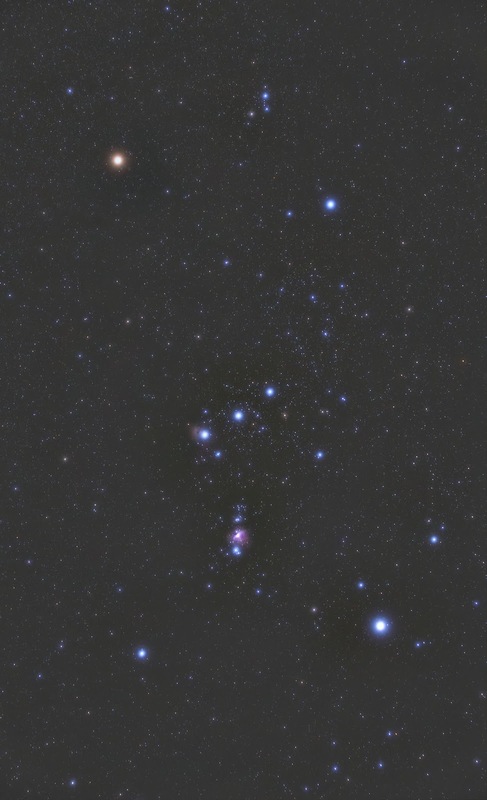 Orion was a gigantic, supernaturally strong hunter of ancient times. One myth recounts Gaia's rage at Orion, who dared to say that he would kill every animal on the planet. The angry goddess tried to dispatch Orion with a scorpion. This is given as the reason that the constellations of Scorpius and Orion are never in the sky at the same time. However, Ophiuchus, the Serpent Bearer, revived Orion with an antidote. 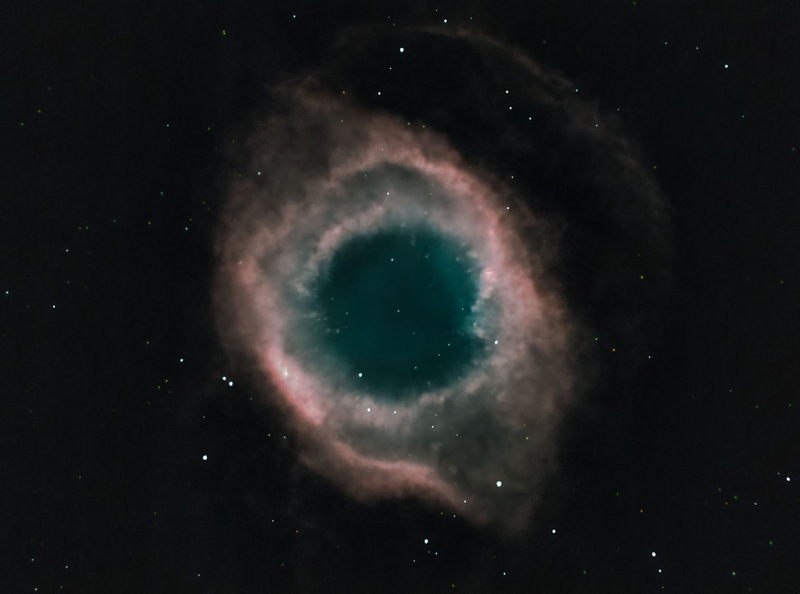 This is said to be the reason that the constellation of Ophiuchus stands midway between the Scorpion and the Hunter in the sky.